Well everyone, you made it to Friday, it’s a Christmas miracle! 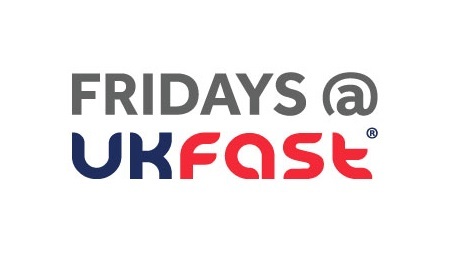 This week we’ve been talking about first impressions of UKFast and a mega security breach. We’ve also covered why heroics is about more than just the Lycra and some top tips for eCommerce sites. Finally, we’ve talked about the hot new mag that’s demystifying tech for business and one of the speakers from our Morning with Magento 2 shares the insights from the event. Have a blinder! New info from the UK’s Information Commissioner’s Office has shown that human error is actually to blame for the majority of data breaches. Yep that’s right – although it’s much easier to point the finger at shoddy tech or sinister hackers, plain old human error accounted for 62% of incidents reported to the ICO this year, as opposed to insecure webpages and hacking which came in at a lowly 9% combined. The main culprits are things like sending data to the wrong person, and losing or having paperwork nicked. Easily done but with potentially dire consequences. This highlights the importance of knowing where the potential leaks can be, and educating staff on them too. With the GDPR changes on the horizon, there’s never been a better time to educate yourself, and your employees, on good security practice. If you were jealous of all those schoolkids having access to the BBC’s micro-computer micro:bit, which was originally released only to schoolkids, you’re in luck because it’s now going on sale to the general public. It’s never too late to get into coding, and you can get your hands on one of these tiny bad boys from various partners like Microsoft, the Technology Will Save Us organisation and Sciencescope, for a bargain £12.99. It’s up against stiff competition in the market from the much-loved Raspberry Pi but if it makes a difference in schools then we’re all for it! We’re holding a computer science event on July 1st and it could well be a massive help for our work with schools across Greater Manchester; including with The Dean Trust, where we’ll be supporting their curriculum and teacher development and hopefully running a number of BBC Micro:bit events similar to the ones we do with the Pi. You’ve probably heard about the commotion around the proposed Investigatory Powers Bill – even if just because we’ve been banging on about it so much! Well it hasn’t been doing too well on the popularity front but now the Human Rights Committee is saying that bulk data gathering is capable of “being justified”, although it has a way to go before there are enough safeguards in place. The Bill is still being hashed out, but in a recent report the committee has said that bulk powers are not “inherently incompatible with the right to respect for private life”, and that it’s “capable of being justified if they have a sufficiently clear legal basis, are shown to be necessary, and are proportionate”. Home Secretary Theresa May’s argument is that bulk powers have played a huge part in every counter-terrorism investigation over the last decade but rights groups are still concerned about the current draft of the Bill (unofficially dubbed the Snoopers’ Charter). The government wants the Bill to become law by the end of the year, so they better get a wriggle on to allay fears if they want it to go through. Smarter than they look – 10 inventions predicted by the Simpsons!